The Family Nurse Practitioner certification indicates specialization and higher level of education in treating all age groups. The Family Nurse Practitioner can treat both pediatric and adult members of the family who suffer from acute or chronic illnesses, as well as address psychosocial issues that may be affecting the family. In order to take the Family Nurse Practitioner exam, the applicant must be a licensed Registered Nurse who has completed an accredited Nurse Practitioner education program with a minimum of a Master’s Degree. The clinical portion of the educational program must have contained a minimum of 500 clinic hours. The Family Nurse Practitioner exam is available to RNs throughout the year at various testing sites across the United States. The fee to take the exam is $230 for American Nurses Association (ANA) members and $370 for non-members. What is the ANCC- FNP certification? The ANCC-FNP certification is a Family Nurse Practitioner certification exam given by the ANCC to test your knowledge and skills in specific areas. How much does it cost to take the ANCC- FNP? The cost of the ANCC-FNP exam ranges from $275-$395 depending on membership status. How do you become ANCC- FNP certified? To become ANCC-FNP certified, you must hold the following: An active RN license; An accredited master’s, postgraduate, or doctoral degree; Transcript demonstrating completion of advanced physiology, advanced health assessment, and advanced pharmacology courses; and Passing score on a certification exam. Is the ANCC- FNP exam all multiple choice? No, the exam contains four types of questions: Multiple-choice, Multiple-response, Drag-and-drop, and Hot spot. How long do you have to take the ANCC- FNP? It will take around 4 hours to complete the ANCC-FNP exam, depending on the number of questions. How do you sign up for the ANCC- FNP exam? What is the pass rate for the ANCC- FNP? The average pass rate for the ANCC-FNP is 75%. 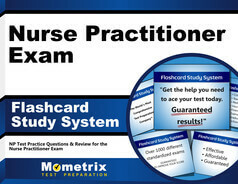 What is a passing score for the ANCC- FNP exam? You must score a minimum of 350 out of 500 to pass the ANCC-FNP exam. How many questions are on the ANCC- FNP? 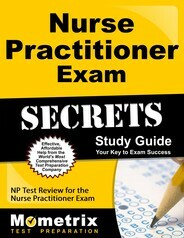 There are between 175 and 200 questions on the ANCC-FNP exam. The exam consists of 175 questions of which 25 of the questions are used for pre-testing purposes only for possible inclusion on future exams. The Family Nurse Practitioner exam tests the RN’s knowledge in all aspects of assessment, diagnosis, and treatment of acute and chronic illnesses in the pediatric and adult population. Issues in health promotion and wellness are also included on the exam. Almost one-half of the exam focuses on specific questions dealing with the clinical management of the patient. The balance of the exam consists of questions regarding patient assessment, healthy living, patient factors, and research. The Family Nurse Practitioner certification is valid for 3 years. At the end of that time period, the licensed RN must have completed at least 1,000 hours of employment as a Family Nurse Practitioner. In addition, at least 75 continuing education hours should have been completed or other educational activities should have been completed as outlined by the American Nurses Credentialing Center. For more information regarding the Family Nurse Practitioner certification, go to to the ANCC website.